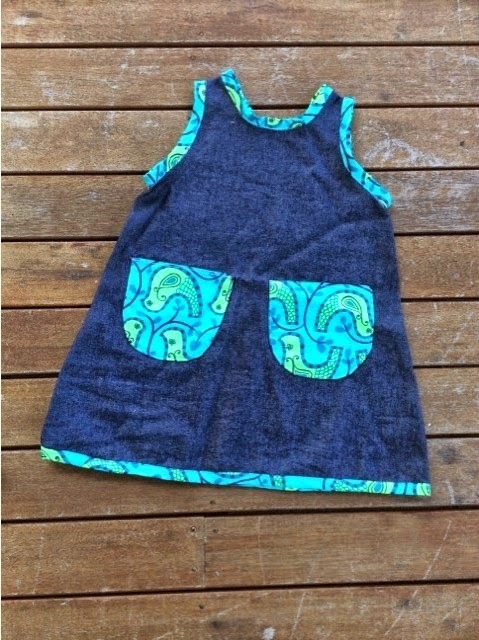 The sewing tutorial for my original pinafore dress (link here) has been my most popular blog post by far. Last year, I fell in love with this cute green and blue bird fabric and used it to make a version more suitable for winter. 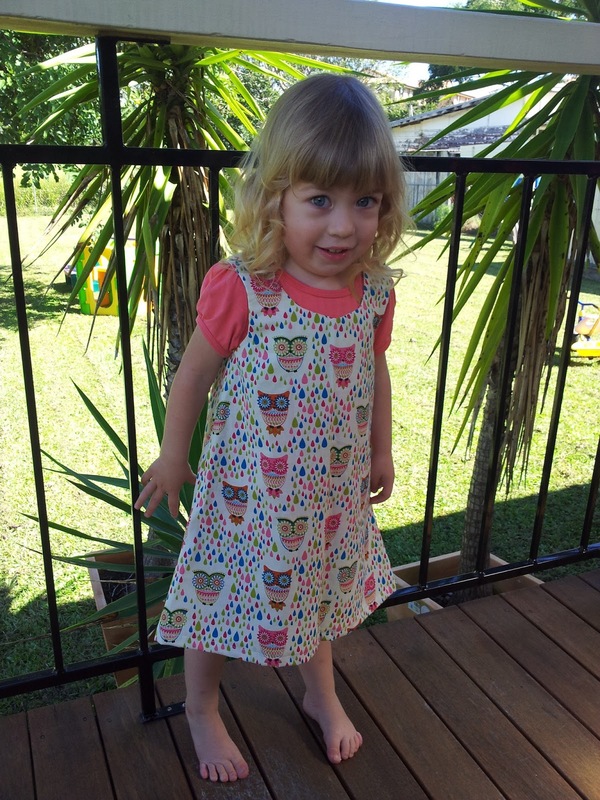 Miss 4 loves those pockets! 1. Cut out the front and back pieces as per the original pattern (link above). If you are using binding on the neck and sleeves, you will not need the facing pieces. 2. Cut out the shape you require for your pocket (I like the u-shape above). Cut it on a double thickness, along the fold. 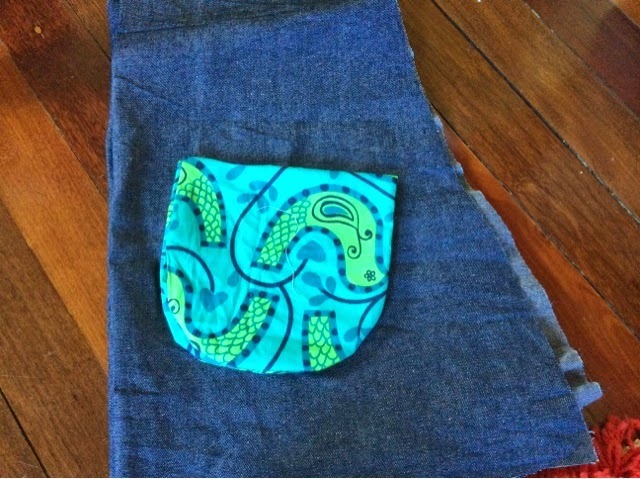 With right sides together sew together along the curved edge, leaving around 2 - 3cm for turning the pocket out. Repeat for any extra pockets. 3. Pin pockets in position and sew close to the main fabric by sewing close to the edge, along the curve. 4. Attach the front piece to the back piece. 5. Sew binding around all remaining edges. You can use a store bought binding, or make it from a matching fabric yourself. Just decide on the width you would like and cut a strip along the diagonal (fold the side edge down to the bottom edge to find the right angle) that is four times the width. Fold the strip in half length ways, with wrong sides together and iron. Then open it up and fold the edges into the centre. Close up again and iron again. 6. Finish with buttons or other trim that you require as per the original tutorial.